Those are cute!! With the themes they're perfect for mommy and baby! OMG these are SO CUTE! I think my fave is the cars! Someone made us one and it was probably my favorite shower gift ever! Wow--those are adorable! I might have to consult you next time one of my friends has a baby. :) I can imagine they're really fun to make when there's a cute theme. Have a wonderful time at your friend's wedding tonight; I'm sure it will be a blast! These are perfect Tracy ~ what a great job you guys are doing on them too! Oh my gosh - these are adorable!! Could you post a detailed how-to? I think these must make fantastic gifts! those are so cute! What an awesome idea! I think I want to do that when I know someone having a baby. you should TOTALLY open up a shop on etsy and sell these... they are adorable!!! You guys should definitely start your own biz. Those are gorgeous! Wow you make them pretty cute =) I might ask for some pointers in a few weeks for one I am throwing in TX. Did you use cloth diapers? They look like cloth in the pictures. . . 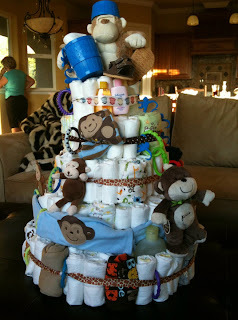 I LOVE diaper cakes and have always wanted to make one!! Yours look great!! Loving baby Evans especially! Diaper Cakes are so much fun to make! I made my first one not too long ago and got addicted. People need to start having more babies! Your cakes are all so adorable! I love the monkey one. These are absolutely perfect! 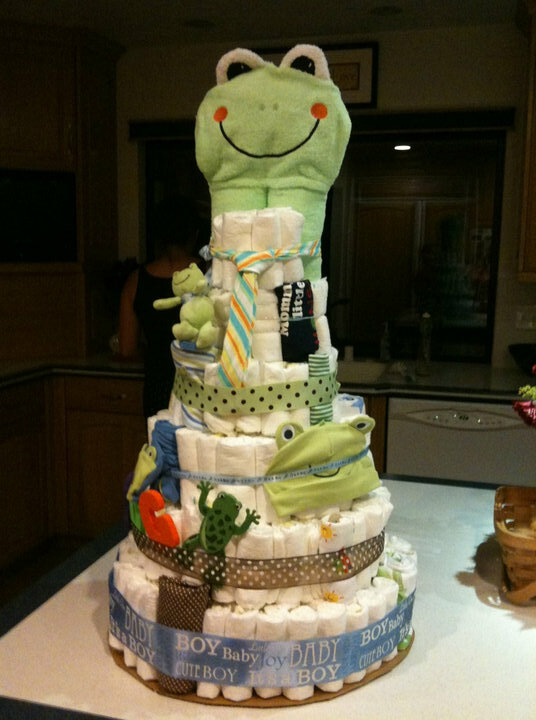 I can't believe how gorgeous a cake of diapers can look - next time I have to go to a baby shower I'm going to ask you for detailed instructions! :) Hope things with the new place are going well! Thanks Trace for the little tribute to me in your blog that was so sweet! Those are SO cute!! I've never made a diaper cake but those look great! These are so cute! 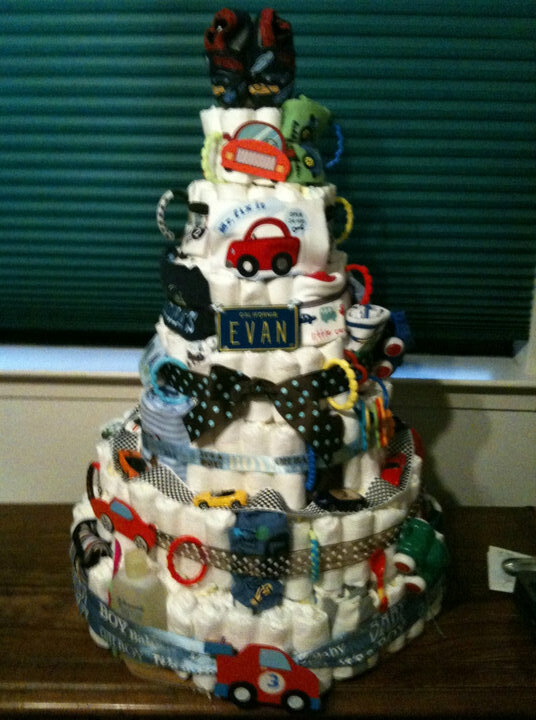 I am looking forward to making my first diaper cake for my fiance's sister's baby shower in a few months! These have got to be the cutest things I have ever seen! !